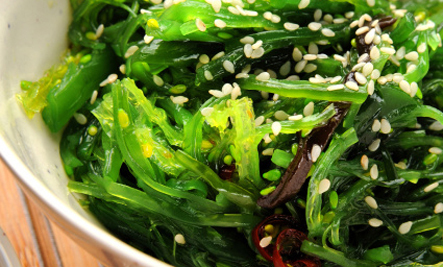 5 Seaweeds That Enrich Your Diet and The Most Convenient, Tasty Way to Enjoy Them! 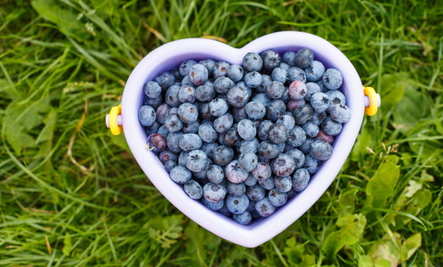 Discover the amazing health benefits of this ancient PowerFood. Sea vegetables have a broad range of medicinal uses and have been used in spas and therapeutic baths for ages. Properly harvested, dried, and stored seaweeds do not acquire a fishy taste. MINERALS: Sea vegetables are excellent sources of most minerals, especially potassium, sodium, calcium, magnesium, sulfur, nitrogen, iron, zinc, boron, copper, manganese, chromium, selenium, bromine, vanadium and nickel. VITAMINS: Most sea vegetables are excellent sources of the known vitamins (A, Bs, especially B12, C, D, E, and K) as well as essential fatty acids. 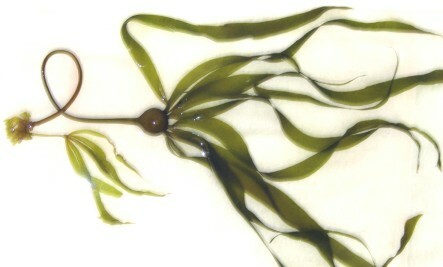 I will introduce 5 wild seaweeds that we harvest in our area of North Coastal BC Canada. 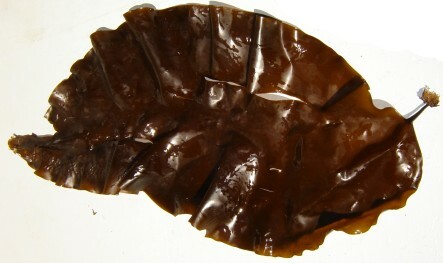 Bull Kelp (once dried) is one of the tastiest seaweeds. It’s fine and tender, easy to eat, and no cooking or soaking is required. It is usually used as a seasoning, sprinkled into foods such as salads, soups, quinoa, rice, pasta etc. Also, try enjoying kelp as a salty snack. It is on my list of favorite condiments. Rich in calcium, magnesium, sodium, iodine, potassium, bromine, phosphorus, iron, bulk fiber, vitamin B complex, and vitamins A, C, D, E, and K.
Treats Attention Deficit Disorder (ADD), hyperactivity, insomnia, depression, hostility, schizophrenia, mineral depletion, heartburn, and improves electrical nerve flow and fibromyalgia. Taste: When dry kombu has a salty, natural monosodium glutamate taste. It is tough and once you chew it, it becomes slimy. Kombu tastes best when cooked. Chop into bite size pieces and cook with your rice, quinoa, stews, and beans (improves digestibility), shred and pickle, or roast and crumble on food. Add a peace of Kombu (or Wakame) to beans at they cook. This will make the beans easier to digest and stop gas. High in iodine, calcium, potassium, magnesium, iron, sodium, chromium, protein, mannitol, phosphorus, alginate, fucoidan, laminarin, carotene, phytohormones, vitamin A, C, D, E, K and B complex vitamins. Anti-viral, relieves sore joints and muscles, lowers high blood pressure, improves sleep, heals tissue, treats certain thyroid problems, aids weight loss, and inhibits tumors. Taste: when dry it has a fresh oyster taste with a hint of iodine. Very flavorful. Make a mineral and iodine-rich broth, cook into rice, quinoa, seafood chowders, soups, and stews. Or, soak, chop, and cook into stir fry. Rich in iodine, calcium, potassium, protein, mannitol, phosphorus, alginate, fucoidan, phytohormones, laminarin, vitamins A, C, D, E, K and B complex vitamins. Stimulates the thyroid, detoxifies, aids in weight loss, helps fibromyalgia, reduces fatigue, strengthens bones, and reduces inflammation. 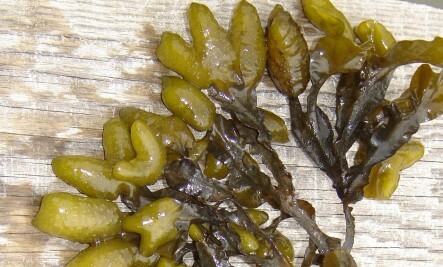 Bladderwrack also improves mood disorders such as anxiety and depression, and improves memory. Cook into soups, rice, quinoa, stews, beans, fish chowder. Or, cut into thin strips and add to stir frys. For a snack, toast kelp in a hot frying pan with no oil. It takes only seconds and you can eat it like a chip! High in algin, mannitol, potassium, sodium, calcium, magnesium, sulfur, nitrogen, iron, zinc, boron, copper, manganese, chromium, selenium, bromine, vanadium, nickel, vitamin A, B vitamins (especially B12), C, D, E, and K, as well as essential fatty acids. Supports a healthy thyroid, regulates hormones and metabolism, supports the immune system, provides antioxidants, and keeps your heart healthy. Alaria is Greek for wing and wakame is Japanese for young girl. Eat as a snack right out of the bag. Chop and cook into rice and quinoa, soups, casseroles, stews, beans, and toast. Or, grind with a coffee mill and sprinkle flakes on salads, sandwiches, rice, etc. 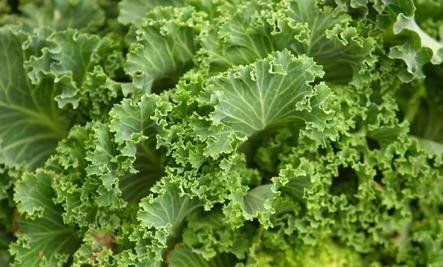 Nutrition: high in calcium, protein, iron, magnesium, sodium, phosphorus, potassium, chromium, zinc, iodine. Rich in B complex vitamins, vitamin A, C, and K.
Baths and Spas uses: Place a handful of Wakame in a piece of cotton. Tie closed. Toss in hot bath. Squeeze gently and seaweed gel (algin) will be released in bath water. 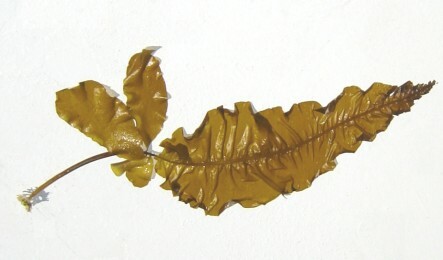 Add gel to face for a Seaweed facial. Enjoy your Sea Vegetables! This article is meant for information only. Consult a medical professional regarding medical problems and before making any major changes in your diet. Would you like to know the most convenient was to eat your Sea Vegetables? Leesa recommends a tasty and convenient way to eat and benefit from Sea Vegetables … Chews4Health! Chews4Health contains Dulse, Kelp, Bladderwrack, and Nori! Chews taste like a raspberry sweet tart to me! So delicious and so good for you! I believe that Excellent Health is found along your journey and not just at your destination. Would it make sense for us to spend several minutes together to discuss your Health Issues or Problems and how HealthyHighway can help YOU Live YOUR Optimum Life? Please complete the information here to schedule your consultation. I look forward to helping YOU Live YOUR Optimum Life! Come Enjoy a “Day of Wellness” with Bee Well!